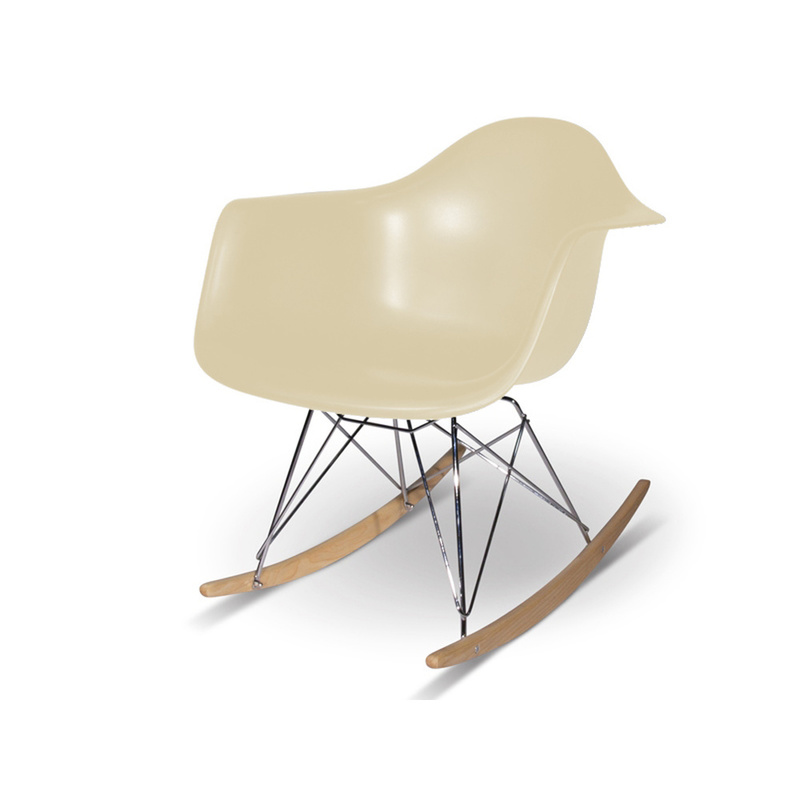 The RAR Chair is a precious jewel in the Eames Plastic Chair Group. The Rocking Chair fulfils demands in comfort and aesthetics equally. Its seat shell, as it's typical for this group, is made in one casting and from plastic materials, features armrests in contrast to other chairs of this series, as DSW, and DSR - it not only provides support for the back and from below, it also provides support from the sides. The construction of the base is a sophisticated combination of wood and steel. It uses the typical braces well-known from the Eiffel Tower that merge into the wooden skids. This cult item has already a usage beyond private spaces. 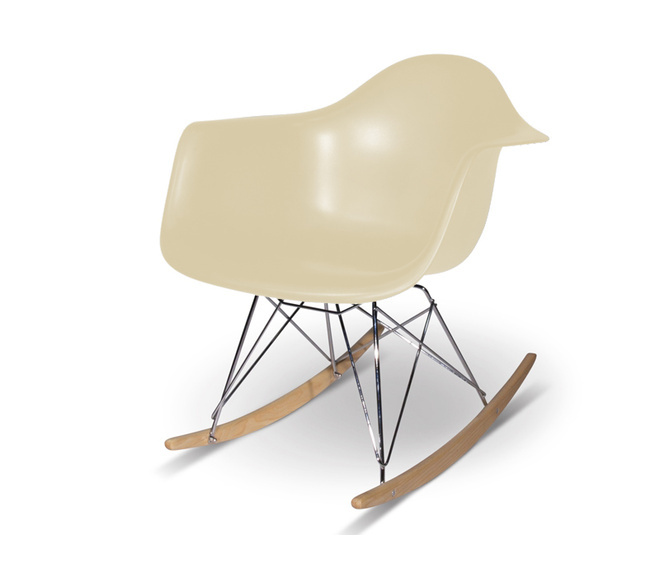 The Eames Plastic Chair Group was designed in the 1930s in collaboration with Zenith Plastics for the 'Low Cost Furniture Design' competition at the Museum of Modern Art. They were the first products industrially manufactured of plastic materials for daily usage. We produce this plastic model in the colors white, black, and red.